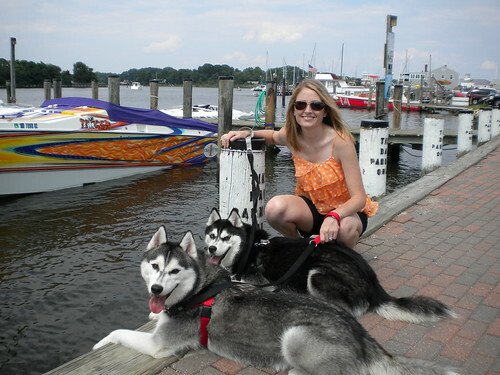 Over the weekend, we visited Solomons Island, Maryland. Solomons is where the Patuxent River flows into the Chesapeake Bay. 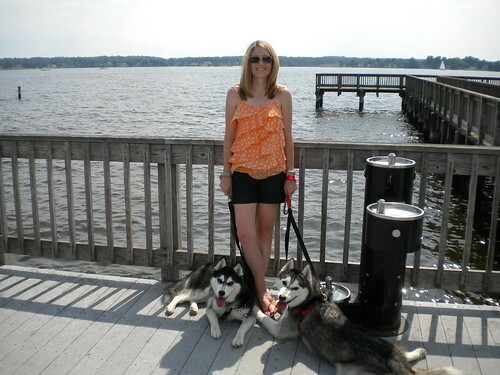 We strolled on the boardwalk along the water. There were some cool boats, both sailboats and motorboats, sailing and speeding along in the water. We also saw some ducks. 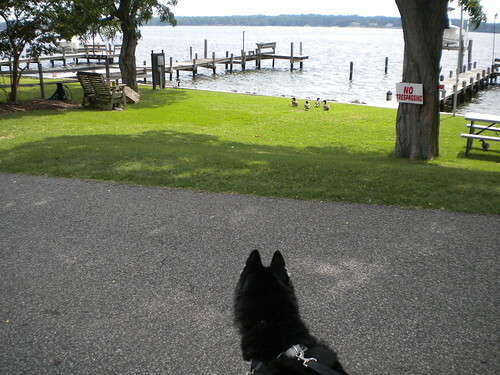 In case you can't see the ducks in this picture, just use Kat's ear-radar. Apparently ducks cannot read because they are clearly trespassing where it is posted "no trespassing". There is a marina which is home to a ton of boats. 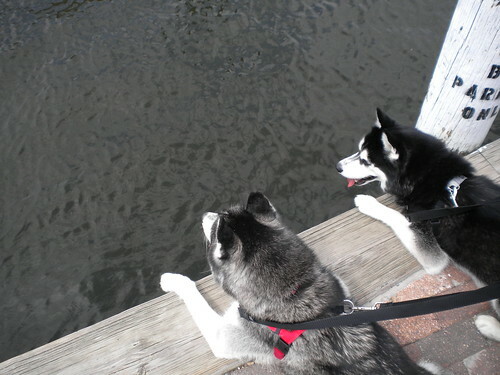 We tried to figure out how to jump in the water, but it was pretty far down and Mom might not have appreciated taking a dip, so we were good and just hung our paws over the edge. 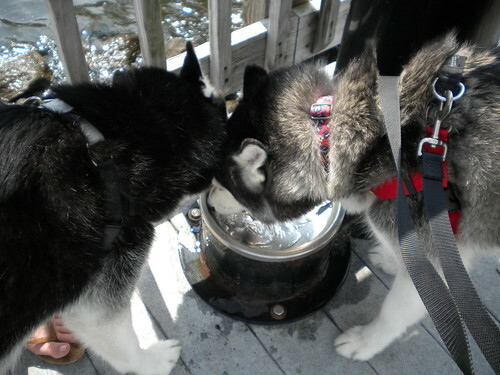 It was pretty hot out but luckily there were dog water fountains spaced out along the boardwalk so we could get a drink. 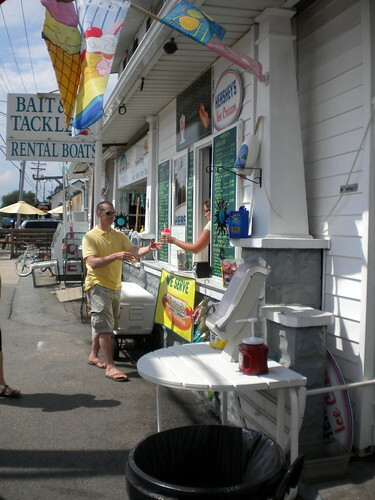 The final stop on our visit of Solomons Island was the ice cream stand. We're sure it is very historic because we went there if for no other reason. We have our Dad really well trained. 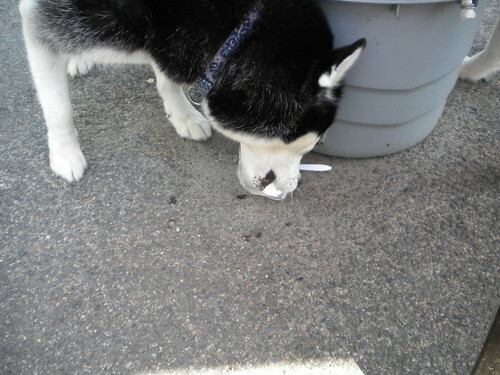 He orders the ice cream and stands in the hot sun. 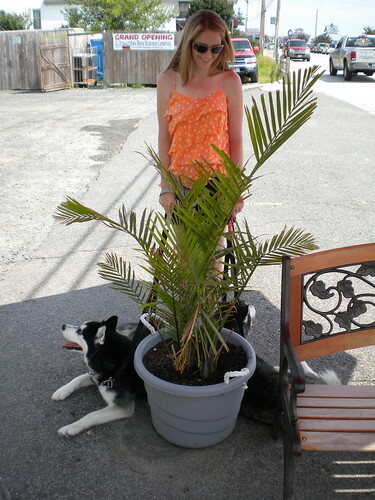 While we lounge in the shade and wait for our ice cream (or snow cone if you're Mom). Well, that's Solomons Island. 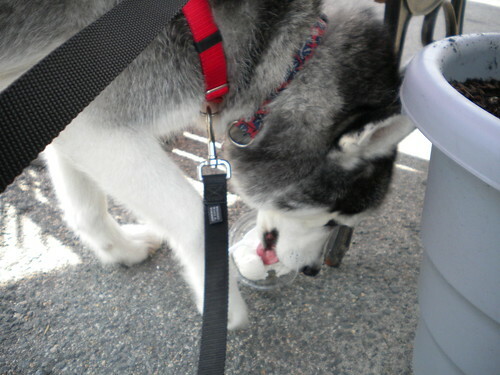 We recommend it for the ducks and the ice cream!